I love this beautifully coloured aromatic soup. Red Cabbage is a good source of dietary fiber and it is very rich in Thiamin, Riboflavin, Folate, Calcium, Iron, Magnesium, Vitamin A, C, K, B6, Potassium and Manganese. European folk medicine uses red cabbage to treat acute inflammation. 1. In a microwave safe bowl, take 1 tsp of butter. Add cumin and onion. 2. Keep on high for a minute. Take out, mix well and keep again for another 1 minute. 3. Now, add chopped cabbage, 1 cup water and salt. 4. Cook on microwave high for 4 minutes. 5. Let it cool and process in the blender until smooth. 6. Add lemon juice and pepper powder. Mix well. 7. Heat once again just before serving. 8. Garnish with coriander, butter and jeera. This participates in "Sara's MEC - Soups", an event started by Srivalli. 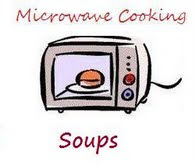 Never tried cabbage soup.that too in microwave.Sounds easy too.Thanks dear for sharing!!! Very Different soup looks super cool. Thanks for the entry Nithu. Yummy and wonderful purplish color makes me drool...yummy. such a nice color of soup! loved it..thanks for sharing this wonderful recipe..
Nice colored soup. cute presentation too. Best soup i hav ever seen,beautiful color..
Nice, colourful and perfect soup!! never tried..tempting.. The colour of soup is eye cathching.Very healthy. Very catchy soup, lovely colour..
Thats a lovely soup,Looks so healthy and delicious! Nithu wow, amazing color there gal... Love the choice of ingredients for the soup!!! Perfect entry for the event!!! Shall I grab the bowl now??? I have tried with ordinary cabbage... but not with the red one... If u like, try with jus a single pod of garlic, as it would enhance the flavour & taste(cook well with other ingredients & blend... this is just an optional, to enhance the F&T). Love the color of the soup...purple...my favorite...dont cook much with red cabbage...love this recipe though!!! healthy 'n colorful soup...looks great! cute presentation and healthy soup! I have seen this colored soup for the first time and I am so loving it..too good..thanks so much for sharing.. Colorful soup and a beautiful presentation!! !